The PLASTARC team sat down with their very own, Melissa Marsh to learn more about what changes and continuities she’s seen since the very beginning of business efforts to employ space as a part of strategy. A lot has—and hasn’t—changed in the past 15 years. Beholding how smartphones and co-working spaces, for example, have become so pivotal in modern work and life, it’s hard to believe the iPhone only debuted in 2007 and WeWork only came on the scene in 2010. 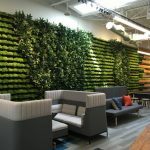 While new technologies and business models are continuing to enhance individuals’ daily lives at a record clip, some workplaces are doing better than others at using space as a tool to drive business success. Why? Nearly 15 years ago, PLASTARC’s Melissa Marsh wrote her Master of Architecture thesis at MIT, “Design for Achieving Strategic Business Objectives,” and contributed to a report by the UK’s Commission for Architecture & the Built Environment (CABE) titled “The impact of office design on business performance.” The ideas they covered have continued to drive Melissa’s work throughout her career. Five years ago, having explored them in architectural practice for a decade, she founded PLASTARC, a unique consultancy that helps clients leverage their spaces for optimal experience and performance. With 2017 coming to a close, we (PLASTARC) sat down with Melissa to ask her what has and hasn’t changed since the early aughts about business efforts to employ space as a part of strategy. How have companies and designers succeeded (or come up short) in the pursuit of creating workplaces that support organizational goals? Q: In your thesis, you wrote about how modern workplaces must function simultaneously as sites of personal productivity and social interaction, necessitating “multiple functioning” spaces. At that time, you weren’t seeing very many of those. What’s the landscape like now? A: More and more, we’re seeing this complex balance of personal and social needs being met with a diversity of spaces. 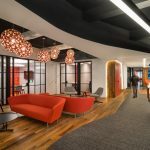 Great offices are far less homogenous than they were 15 years ago, and that diversity is helping us address the increasing speed of change, as well as organizational complexity. Keeping up with incremental change is harder than ever before, so successful organizations have adopted spaces that are flexible, universal, and dynamic. Think of tech companies with their rapidly reassignable open office plans, or co-working spaces that offer short-term leases. We’re also seeing forward-thinking landlords taking more responsibility for the less changeful parts of a building: conference and event spaces, for example, are more often being managed by the landlord and shared by multiple parties. All of these changes mark a shift from workplace as a fixed object to workplace as a flexible service—especially co-working—but they’re not entirely mainstream yet. Q: Your thesis laid out six “intersections” that connect architecture with business objectives: 1) external identity and branding, 2) internal identity and employee attraction, 3) virtual and distributed work, 4) internal and cross-functional communication, 5) productivity and creativity, 6) spatial efficiency and performance. Do they remain helpful and relevant today? Which do you see the most in workplaces now? A: We can see them all. Numbers 1 and 2 are the most easily recognizable: think of how important Starbucks’ spaces are to their brand, or how saying a ‘Google-style office’ automatically invokes appealing images of gourmet food, beanbag seating, and game rooms. As for number 3, designing spaces for distributed work has become more standard: our meeting rooms are video conference enabled; there’s more hot desking and other non-territorial layouts. Number 4, cross-functional communication, is being better enabled as we move—though still all too slowly—away from cubicles and toward denser activity-based working floorplans and transparent boundaries. The growing emphasis on multisensory design to encourage productivity and creativity, number 5, is evident in the popularity of materials like reclaimed wood and the use of scented soaps and atomizers in workplaces. And 6, as research on the benefits of density continues to grow, spatial efficiency is seen less and less as a constraint and more as an asset. 15 years later, I would just add a seventh area to the list: what PLASTARC calls the digital layer of buildings. This is the idea that technologies like activity trackers, badge swipe data, and smart building software that collect unprecedented amounts of information about what employees do and want can be harnessed to create a better experience for them, and to help employers better use their space to achieve their business goals. Q: The CABE report began with a case study of the Larkin Company Administration Building, describing it as a thoughtful collaboration between the company and architect Frank Lloyd Wright in the early 1900s: “Each detail in the architecture of this extraordinary building had a business purpose: to support a commercial strategy, to accommodate innovative work processes, and to broadcast a particular set of business values.” Back at the turn of the 21st century, this building type was not common. Has workplace architecture experienced a ‘purpose renaissance’ since then? A: On this front, not as much has changed in the past 15 years as had changed in the century between the making of the Larkin building and the writing of the report. That change had to do with speculative building: the fact that, as speed of change has increased, buildings have stopped being designed for specific tenants. Now, they’re built in a certain style with the hope of some kind of future tenancy. A great example of why this shift has happened can be found in the London building 30 St Mary Axe, better known as ‘The Gherkin.’ It was—very expensively—made for insurance company Swiss Re, but then their needs changed, and it cost a great deal more time and effort to convert the building for use by other tenants. The design of an entire building for a specific tenant is unusual; a better building these days might maximize for human performance rather than corporate process. Flexibility and adaptability have been the name of the game for a while now. I should emphasize that Larkin was an exceptional building at its time, just as the offices of companies like Apple, Samsung, or Google are now. To me, the point is not as much about the unique function of the building, or whether the building is developed speculatively or not. What does concern me is that most work environments are still pretty low quality space from a human factors perspective. Most people don’t get to experience unique and beautiful spaces very often, but we’ve seen some interesting repurposing efforts recently. Valuing historic architecture could certainly help. In the past 15 years, you could say there’s been an increase in repurpose-driven, rather than purpose-driven design. As the disposability of tech increasingly dominates our lives, there’s evidence of a pendulum swing back to places that offer us a sense of provenance. WeWork, hot on this trail, is becoming known for buying old commercial spaces and repurposing them as coworking sites—including a former Wonder Bread factory in Washington, DC, a former opium factory in Shanghai, and, most recently, the flagship Lord & Taylor building in midtown Manhattan. So while on one side we’re seeing more anonymous, multipurpose ‘boxes’ being built, we’re also seeing the popularity of making old things new again. Both have advantages with regard to achieving business goals. Q: The CABE report lamented that literature (meaning academic and scientific research) on this topic has been focused on academics—not on end users or even on designers—making it inaccessible and hard to apply. Has more research been done since, or has it been better communicated? A: There are two problems. Mainly, the relationship between architecture and business strategy hasn’t been well-studied, period. Then, whatever has been studied hasn’t been easily applicable, or well incorporated in professional education. What’s happened in the past 15 years is that organizations are now doing the research themselves. Companies known for exceptional workplaces, like Google, Facebook, Zappos, and Mozilla, have done their own research and used it to their own benefit. For these organizations, workplace has become a competitive advantage. For everyone else, the challenge of limited research continues alongside the weak relationship between academics and applied science. The next generation of research will be coming from business schools, as well as schools of medicine and public health, rather than from architecture or design schools. What we have seen recently is greater clarity around the role of architecture to support the individual: more studying of human factors, wellness, and how the built environment can offer a person physical support. This is distinct from how a workplace can support the culture of a business. Social science uses the term ‘unit of analysis’—in this case, the unit of analysis of one human, instead of an organization of humans, has become more dominant. Even more recently, we’ve seen academic questions start to focus on teams: the unit size that’s between the individual and the whole company. At last year’s Wharton People Analytics Conference, Amy Wrzesniewski of the Yale School of Management spoke on a panel called “Team Performance” that really spotlighted this. The ‘individual’ size is about the quality of the environment, while the ‘organization’ size is about brand expression. Standards like WELL and Fitwel have shown us the human factors impact; Google and Apple have evidenced the business culture impact. So now conversation and research have progressed to focus on the place between those two scales: the ‘team’ size. Q: In your thesis, you said there are plenty of good workplace design options out there, but a shortage of ways to evaluate them based on how they could help achieve business objectives. You suggested that we could address this by learning from other design fields—like urban and industrial design—that have done a better job of it. Do you see signs of a more multidisciplinary approach to workplace design now? A: There are some. Two years ago, I co-founded the Social Science and Architecture Committee at the New York chapter of the American Institute of Architects. We bring designers, social scientists, educators, and people from many other disciplines together to discuss everything related to the built environment and to learn from one another. Environmental science has made great strides in informing better design and organizational performance. The relevance of these comparisons is also the implied social and economic models of each. For example, the urban planning process is inherently social; civic participation or ‘participatory design’ is often mandated. At the other end of the spectrum, in product design, many iterations and tests are completed; the benefits and impacts to consumers are tested. Social research is embedded in these two disciplines, but the same has not always been true for architecture. Things are shifting now, though slowly. LEED, for example, was introduced by the US Green Building Council a few years before I wrote this thesis, and it’s now the world’s most widely used green building rating system. WeWork, led by its own research, is shifting the whole architecture model: they refer to ‘space’ as their product. An example of different disciplines influencing each other, particularly as it relates to business strategy, can be seen in the exchanges between urban and interior design nomenclature. We now call parts of a workplace floor plan ‘neighborhoods.’ Phone booths no longer exist on city streets, but they do in offices! These urban metaphors have been fully adopted into interiors, and they now bring many of the same benefits to businesses as they brought to public places. One basic premise of PLASTARC’s work is that the spaces work takes place in and the performance of the worker are inextricably linked—and just like the advertising aphorism ‘there are no neutral messages,’ there are no neutral spaces! The performance of an individual or team cannot help but be impacted by their environment. In the case of knowledge workers, who are often highly paid and economically mobile, we are dealing with some pretty finely-tuned instruments, so their environment must be similarly well-calibrated if it’s going to meet their needs. Much of the work of designing for business in the 20th century focused on process and optimizing for manufacturing environments. As we have moved into the knowledge economy, we’ve begun to understand that designing for the knowledge worker comes with layers of complexity beyond function: it reaches into engagement, satisfaction, inspiration… We’re beginning to acknowledge—both in our conversations and our actions—that design is more important than ever before. Q: The CABE report recommended that tenant organizations “encourage user control of the working environment supported by responsive facilities management.” How are increased occupant control and responsive facilities management visible in (or absent from) workplaces today? A: People have always wanted more control over their workspaces. Now, we have technology that can deliver it to them at a reasonable cost and with reasonable complexity. Good facilities management can be responsive to people’s needs by liaising between them and building technology—for example, by turning the heat up when people say they’re cold. But most of the new control comes from technology: everything from the Fitbit that reminds you to take the stairs to the proprietary app that lets you book the conference room of your choice in a matter of seconds. Q: The CABE report advised that tenant organizations seek flexible and short-term leases to curb financial risk, as rapid developments in tech and the global economy are making business less predictable. It also advised that building developers and landlords anticipate this need and offer space accordingly. These approaches can certainly be seen in the proliferation of coworking spaces in the past decade. Do you see other ‘short-term’ ideas at work? A: This part of the report was a straight-up prophecy. A couple of decades ago, east coast companies were comfortable with 20-year leases and saw an economic advantage there. Now, younger companies native to change don’t see any financial benefit to long-term leases; they see much more benefit in flexibility. There’s been a value shift in the risk assessment model. We’ve left the 20th century—a time of incremental upward value for everything—and we can no longer count on the same directionality in this century, which has a much more up/down economy. We’re now seeing even large, established companies want a three-year lease instead of a 30-year one. Q: A memorable analogy in the CABE report read: “The collective failure to understand the relationship between the working environment and business purpose puts us in the position of early 19th century physicians, with their limited and erroneous notions about the transmission of disease.” Do we understand the relationship between space and strategy better now? A: The rise of the knowledge economy has shifted business purpose to human well-being as a universal measure of building performance. That’s good for people, but it doesn’t mean that architecture has its head around the concept yet. That’s why architecture as an industry is still developer-led rather than organization-led. If you look at it as a supply-and-demand question, demand has changed because we see business performance as human performance, but the supply side has not changed as much. The exceptions are things like facilities management apps, coworking spaces, and landlords who provide a ‘service layer’ on top of their physical space that’s aimed at fostering business development. But overall, most of the players still see workplaces as business containers rather than business enablers. We’ll continue to see more smart building technology, and more building operators who make the connection between space and business strategy, but I think architecture itself will be slower to change; we’ll continue to see these indistinguishable glass boxes being built everywhere. Look at the new buildings around World Trade Center in NYC: every one of them looks roughly the same, even though they were all done by different architects who have different backgrounds, who come from different cultures! I think we’ll eventually get out the other side. Computers used to be truck-sized boxes; then for a decade and a half, they were knee-height boxes under our desks. Now, computers are in everything and there’s no longer an assumed form for them. So maybe we’re just in the ‘boxes’ phase for buildings, and we haven’t figured out what’s next—yet. They have surprisingly important effects on employee well-being and performance.